In a gastronomic scene as vibrant and dynamic as Singapore’s, Michelin-starred fine-dining restaurants thrive alongside street food hawkers. Every so often, you’ll hear of restaurant chefs trading in their toques or branching out to open hawker stalls or fast-casual eateries. The latest is chef Dave Pynt of restaurant Burnt Ends, which was newly-minted with a Michelin star in the MICHELIN Guide Singapore 2018 selection in July. Pynt has just opened hawker stall Meatsmith Western BBQ at Makansutra Gluttons Bay at the Esplanade serving localised Western barbecue. Making good food affordable and accessible to more people is also on the top of Ang Song Kang’s mind. Last month, the chef of one-Michelin-starred Chef Kang’s opened a wonton mee stall in a hawker centre in Toa Payoh. 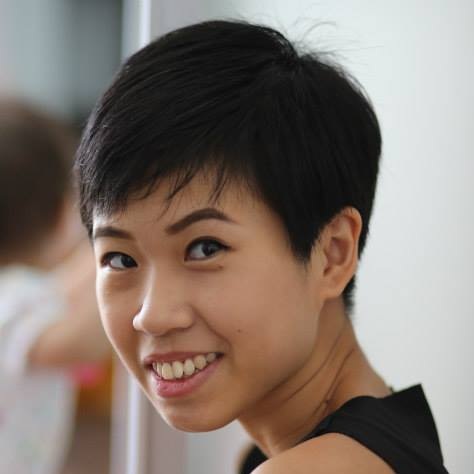 “A lot of my diners have been requesting to have more of my char siew, but I make them in limited portions at my restaurant. Starting a wonton noodle stall makes it more accessible for them to enjoy the char siew,” he says. From modern Taiwanese cuisine to Beef Wellington that lives up to fine-dining standards , here are six fast-casual eateries by former chefs and restaurant industry veterans that opened this year. 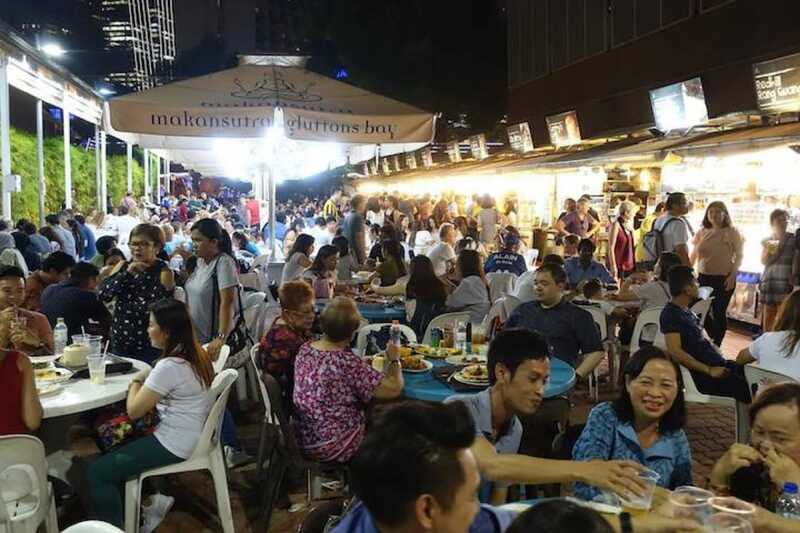 This Western barbecue hawker stall is one of six new stalls unveiled at the newly-renovated Makansutra Gluttons Bay which reopens today (1 December). It is the latest venture by chef Dave Pynt of one-Michelin-starred modern Australian restaurant Burnt Ends and features a smaller version of the wood-fired brick grill that takes pride of place at his Michelin-starred restaurant. Fired on this grill are localised Western barbecue dishes like Salted Egg Chicken Chop with garlic rice and cucumber salad, Smoked Char Siew Pork Ribs served with rice and salad, fries with sambal mayonnaise, Pulled Pork Wantons and Smoked Suckling Pig, all within an affordable price range of $4 to $16. Makansutra Gluttons Bay, 8 Raffles Ave, 15 Esplanade Singapore. 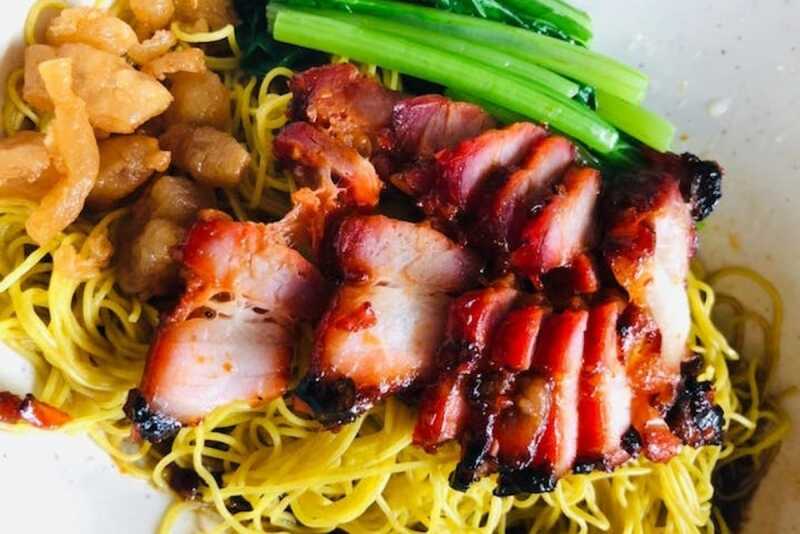 The 1½-month-old Chef Kang’s Noodle Stall has been attracting queues that stretch for more than an hour long for its wonton noodles and soup, which comes topped with the famed char siew from one-Michelin-starred restaurant Chef Kang’s. Using the same recipe, pork belly meat is marinated overnight before being roasted in a charcoal oven at the stall to a charred lacquered finish and served atop springy jook sing noodles from Hong Kong. Block A, Jackson Square, 11 Toa Payoh Lorong 3. This claypot specialist is the brainchild of former restaurant chefs William Liou and Marvas Huang, who sought to shorten the notoriously long cooking time for claypot rice while retaining its traditional flavour. 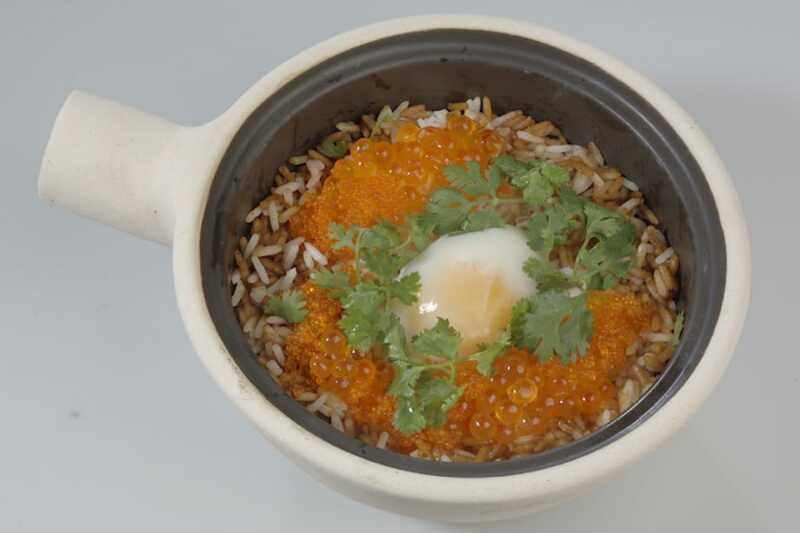 The menu is a mix of classic claypot rice dishes and more contemporary creations like Teriyaki Pork Jowl and Onsen Egg With Ikura And Tobiko. House of Happiness also offers popular dishes from Liou and Huang’s other eatery, Mr Lorbak, which is known for its intensely flavourful and tender braised pork. 294 Bedok Road. 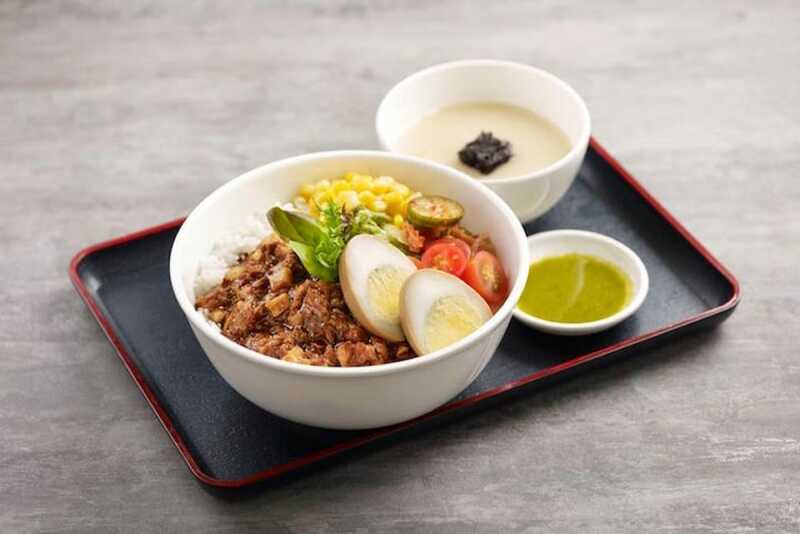 After launching his Teochew Restaurant, Teochew City in June, actor Chen Shucheng has partnered up with local restaurant veteran Austen Ong to open a hawker stall in Ang Mo Kio hawking contemporary Taiwanese food. Ong previously worked at Grand Hyatt Singapore as its chef de cuisine for 16 years before opening his own Chinese restaurant The Chinese Kitchen last year. Choose from eight set meals served with rice and soup, all priced under $10. Grilled lemongrass chicken with green chilli marmalade, miso lu rou fan (braised pork on rice) and passionfruit sweet and sour pork are some of the mod-Taiwanese dishes on the menu. Block 711 Ang Mo Kio Ave 8, S-11 Coffeeshop Stall 12. 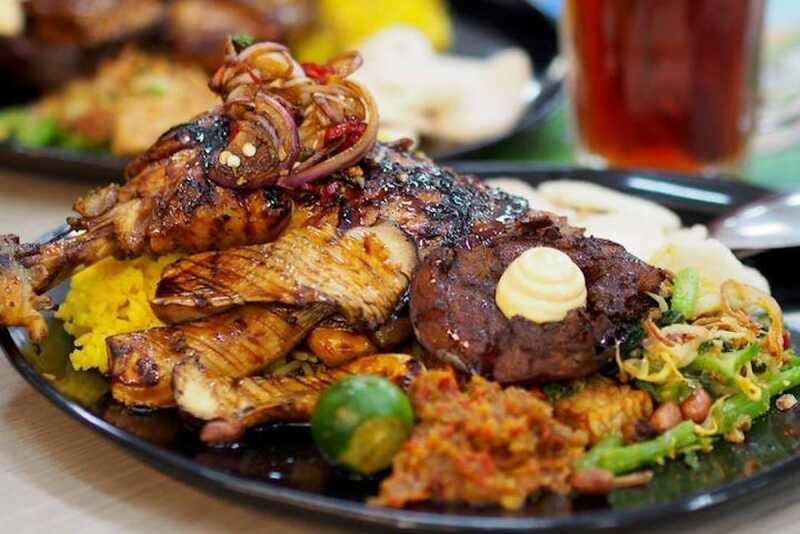 Recently relocated from Pioneer Road to the hip Timbre+, this casual Indonesian grill is helmed by chef Ken Zheng who cut his teeth as chef de cuisine at Pan Pacific Singapore and Fullerton Bay Hotel. Inspired by his frequent travels to Bali, Manado and Raja Ampat, Warung K’s meat and seafood are cooked the traditional Indonesian way, on a charcoal grill. Fan favourites include the Chicken Leg Bakar and Ikan Bakar, charred and juicy chicken or fish glazed with sweet-savoury kecap manis and served over yellow turmeric rice with homemade sambal, tempeh and long beans. 73A Ayer Rajah Crescent, timbre+. Opened earlier in the year in April, this is a coffeeshop "steakhouse" worth a visit if you haven't already. Chef Jimmy Teo is a steakhouse veteran who has spent the last two decades working his way through restaurants in Australia and Singapore, including upscale establishments Wooloomooloo Steakhouse and Rabbit Carrot Gun. Now, he serves up premium free-range grass-fed beef and New Zealand lamb cutlets at Brunners Coffeeshop along East Coast Road. 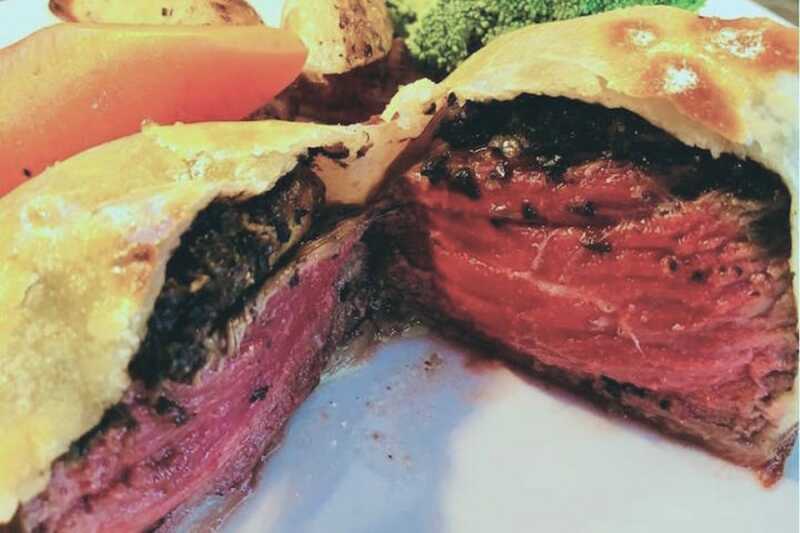 In line with making gourmet meats affordable for the masses, Teo also makes a banging Beef Wellington for just $28, featuring a hefty medallion of tenderloin coated with foie gras pate and mushroom duxelles all wrapped up in puff pastry and baked. 228 East Coast Road. How this hawker went from a street cart selling Teochew-style peppery pork soup in post-war Singapore to becoming an international brand name.